Business owners and managers often have dozens of things that require their attention. Knowing where each of their company vehicles are at a particular time is also one of those. Especially knowing if any vehicle has been moved from the head office depot or yard. Automatic notification technology is available for vehicles when you install GPS vehicle trackers and here is how this technology works. 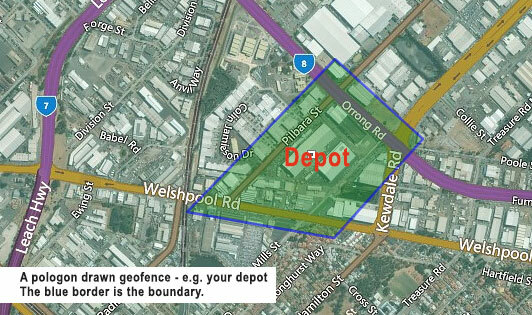 First of all you set a “geofence” area which is an electronic barrier set by you around where your vehicle is stored or parked. 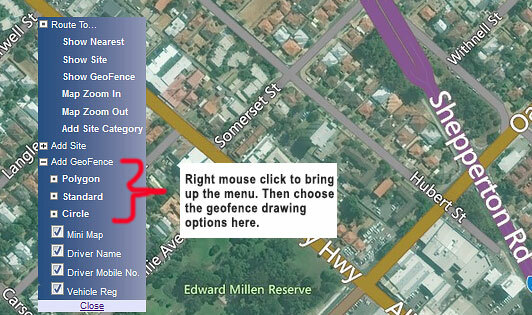 You create the geofence area using the tracking app on your PC, tablet or mobile device. 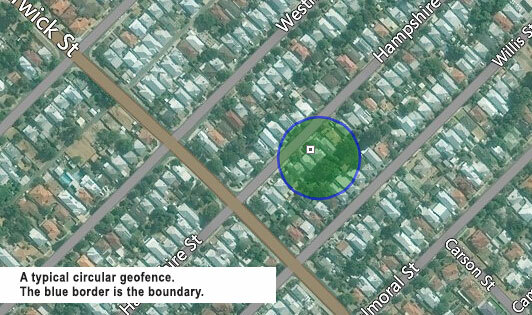 The geofencing area that you establish can be as small or as large as you prefer and that will give you a notification if your driver or vehicle moves from that specified area. First, you establish the area where you want the vehicle to remain, this could be as small as the garage where it is stored or it could be a one kilometer radius area (e.g. a large depot). Second, you set up alerts to monitor the vehicles location. Third, if the vehicle is moved from the area you will be able to take action by contacting your driver, the authorities or even activating an alarm feature that will disable the vehicle. 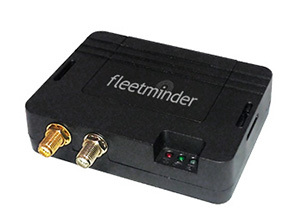 After purchasing a suitable vehicle tracker like the fleetminder FM Lite you can set geofences at your home garage, depot or storage facility. Besides getting notified by SMS text or email when one of your vehicles leaves your designated storage area (with a geofence) you can also run a Geofence report. The Geofence report is useful to know who is driving and when particular vehicles arrive and leave your storage or parking area. This is useful for a whole range of administration reporting tasks: such as when someone started work and when they finished, when they left for a customer job and when they returned, did they use the vehicle after hours? etc. Access to SMS text, email and cloud-based software like the fleetminder Live Tracking system can be made from anywhere in the world 24/7 providing you have mobile and/or internet coverage where you are. So even if you are out in the field you will know the status of each of your business vehicles. We cannot be with our vehicles all the time but with geofencing technology and GPS vehicle trackers you will be virtually present and able to take action to safeguard them if required. So, when you are looking for a way to protect your vehicle when you cannot be present, consider utilising geofencing technology combined with GPS vehicle trackers and you can monitor your vehicle’s location no matter where you are.